Social drumming provides musical growth within the comfort of our own community. It is an inclusive music-making initiative dedicated to promoting active engagement! Adventures in Social Drumming brought in all sizes of real drums to create music. It was very motivating and uplifting for all. 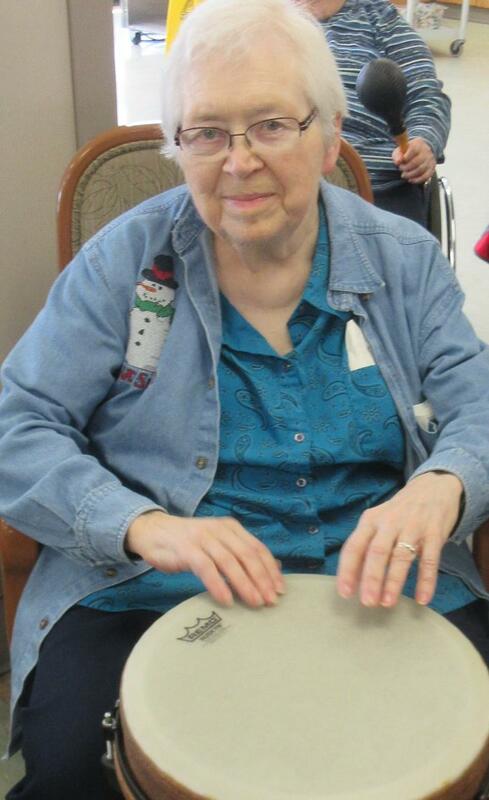 Some residents have never beaten a drum before and were surprised by how much they enjoyed it.